"Ideal for those who like a plain, simple shirt as long as it’s not too plain, our Panama style is made from mid-weight cotton, and has just the right amount of fabric interest to keep you excited, and a slight sheen for a welcome hint of decadence"
"Made from 100% cotton non-iron Oxford for a classic texture with subtle sheen." The color is absolutely beautiful. 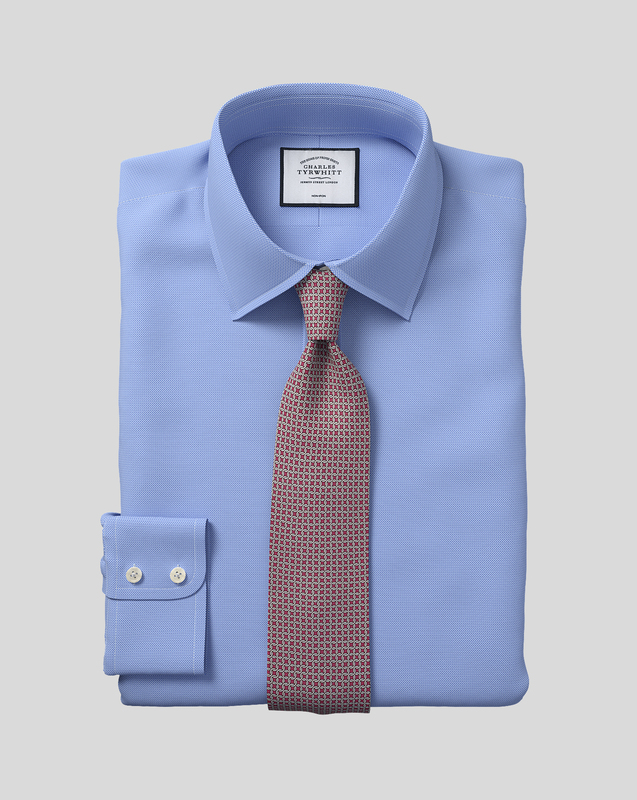 Can wear casual or with your best suit. Perfect fit and quality was good.